Known as the SLR (Self Loading Rifle) and is known for is straightforward fieldstripping and robust nature. The L1A1 is the British version of the Belgian FN FAL rifle. The L1A1 is a reliable, hard-hitting, gas-operated, magazine-fed semi-automatic rifle. 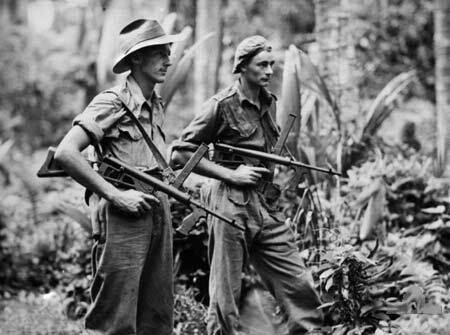 The weapon was extensely used by the Australian Infantryman and favoured over the US M16 because of its reliability and hitting power. Problems occurred with the design of the F1, as its double-stack magazine (rounds side by side in the magazine) tended to spin the rounds as the bolt connected. This eroded the chamber into a bell shape, which increased the likelihood of jams. 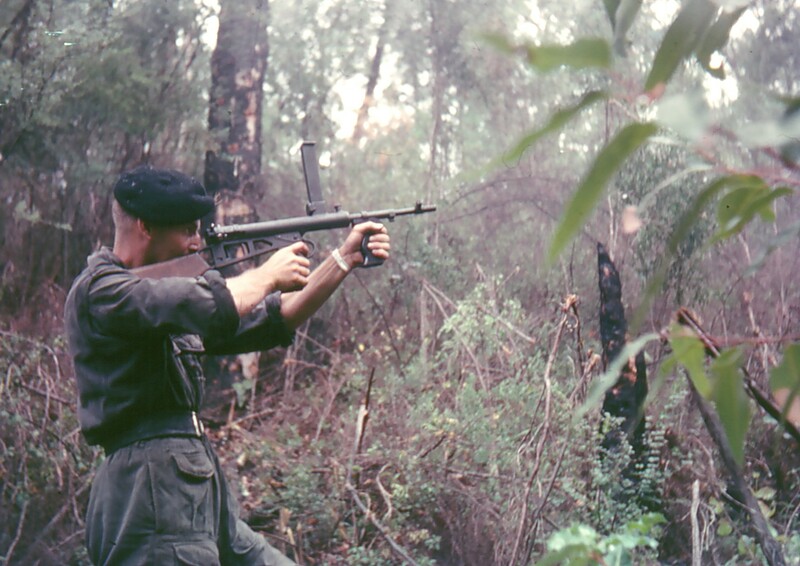 The Australian Troops in Vietnam lost confidence with the weapon and in the 1st Australian Task Force it was replaced by the M16. The F1 continued to be used as a "garrison weapon" in the 1st Australian Logistic Support Group until the end of the war. M16: General dissatisfaction with the M14 rifle and numerous studies led the Army to the development of a light weight weapon capable of firing a burst of small caliber bullets with a controlled dispersion pattern. Although initially opposed by the US Army Ordnance Corps the Armalite AR15 was adopted by the Secretary of Defense as the 5.56mm, M16 rifle. Colt later acquired the marketing and manufacturing rights to the AR15. 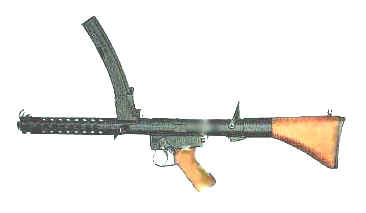 The M16 was selectable for semi-automatic or automatic fire. The M16 was to have had the same effective range as the M14 rifle it replaced, but it was most effective at a range of 215 yards or less. The M16 used a 5.56mm (.223 cal.) cartridge in 20 or 30 round magazines. There were a number of problems encountered during initial fielding. Better training, preventive maintenance (PM), and several design changes, resulted in the weapon that has become the standard issue rifle of the US Army, More than 3,690,000 have been manufactured. Source: Federation on American Scientists. The M72 was designed in the early 1960s for use against light tanks of that era. Although the M72 is mainly used as an anti-armor weapon, it may be used with limited success against secondary targets such as gun emplacements, pillboxes, buildings, or light vehicles. 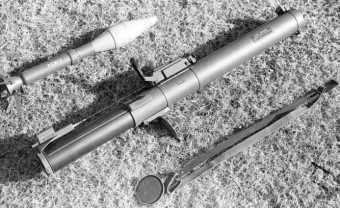 The M72 replaced by the M136 AT4 rocket in US service. Source: Gary's U.S. Infantry Weapons Reference Guide. M26 (Hand grenade): Now obsolete. These grenades were used to supplement small arms fire against an enemy in close combat. The M26 produced casualties through the high-velocity projection of fragments. The M26 and M26A1 fragmentation grenades have been reclassified as the M61. 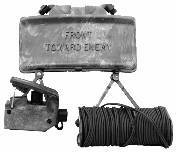 The M26 used M204A1 and M204A2 fuses. The delay element is a powder train requiring 4 to 5 seconds to burn to the detonator. The detonator sets off the filler. Casualty radius: 50 feet (15 meters). Source: Gary's U.S. Infantry Weapons Reference Guide. Click here to read more. The M29A1 medium mortar offers a compromise between the light and heavy mortars. Its range and explosive power is greater than the M224, yet it is still light enough to be man-packed over long distances. The M29A1 weighs about 98 pounds and can be broken down into several smaller loads for easier carrying. Rounds for this mortar weigh about 15 pounds each. The M252 replaced the M29A1 in US service. Source: Gary's U.S. Infantry Weapons Reference Guide. The Browning 9mm Self Loading Pistol is the issue side arm for the Royal Air Force, RAFPC and RAF Combat Weapons Teams. The weapon is used "as issued" in competition in other words it is not allowed to be modified in any way. This is a 9mm semi-automatic pistol that is chambered for the NATO standard 9mm x 19mm pistol round. This round is also known as the 9mm luger and 9mm parabellum. Some modern literature refers to the gun as a "hi power", early literature refers to it as a "high power", this is a translation from its original title given to it by Fabrique National d'armes de guerre (FN) "grand puissance". The pistol was designed by John Moses browning in the 1920s for the Belgian weapons manufacturer FN, the pistol first went into production in 1935. John Browning died in 1927. The final design work was done on the pistol by an FN employee Dieudonne Saive. A quick visual inspection of the browning high power will immediately show its pedigree. it shares many similarities with an earlier browning design, the 1911 colt 45. 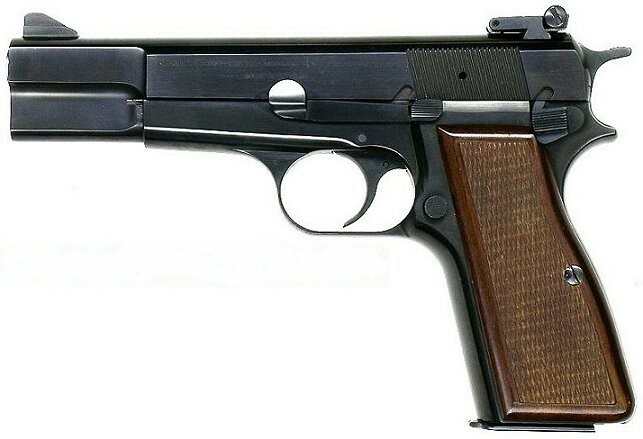 The Browning High Power, also known as the Browning 9mm and at one time in the U.K. as the Browning 38 has been produced by several manufacturers besides FN, millions of these guns have been produced. Some armories have produced copies with the help and blessing of FN, some countries have produced unauthorized "knock-offs". Of the various clones, some are exact copies and have parts interchangeable with the FN guns, some don't. At various times during its history, the high power has been the issue sidearm in over fifty countries. what follows is a partial list to give some idea of the usage: Germany, Denmark, Britain, Iraq, Peru, Israel, Canada, Lithuania, Estonia, and Malaya. Manufacturers of the high power Browning high power pistols were used during WW2 by both the axis powers and the allies. the guns the allies used were produced in Canada by John Inglis & co, pistols have also been made in Israel, Argentina, Hungary and Indonesia. The current FN production is machined in Belgium and finished in Portugal. The Argentinean model, called the FM (fabricaciones militares), is a clone made with the blessing and assistance of FN. It will interchange parts with the FN Browning and is currently in production, it is not as well finished as the Belgian models, but is functionally good. The Canadian models went out of production at the end of WW2 the Inglis models are not 100% interchangeable with the FNs. 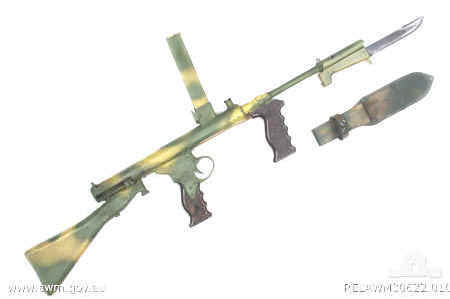 The Hungarian model the Feg fp9 is a direct copy with some differences it has a ventilated rib and is believed to have some parts interchangeable with the FN. From Israel there is a clone called the Kareen. This gun is believed to made from parts machined in Hungary. 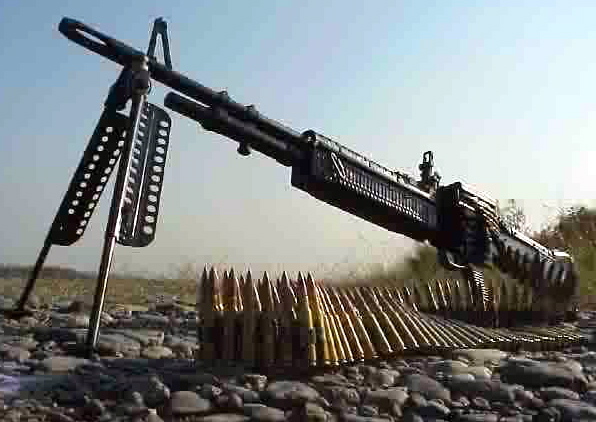 Indonesia has also produced an unauthorized clone the "Pindad". This gun has not been sold outside of Indonesia and was made to supply the needs of the Indonesian military. Obviously, over the years there have been many variations of the high power produced. This is not a list of the minor differences, but a note on the major differences. Early models were produced with a detachable stock and adjustable sights. The stocks were often wood and doubled as a holster for the gun it appears these were designed for cavalry use. The pistols designed for the detachable stock have a groove cut into the rear of the pistol grip, some models have a lanyard ring at the base of the grip. Late models often have an ambidextrous safety. The finish is usually blued. Some models have been made in nickel and chrome plate and many have been phosphated (parkerised). One finish that has also been used by FN is parkerising with black enamel paint over the parkerising. this finish is designed for military use. Guns made for the civilian market by FN are usually blued. The high power uses the 9mm parabellum cartridge. A production browning should have no trouble feeding and firing any cartridge of this caliber, this includes various hollow point, blunt and round bulleted cartridges. Ammunition that fails to feed in modern semi-automatic guns will usually feed and fire with no problems when loaded into a browning high power. The standard magazine is a blued 13 round magazine. The standard magazine can be disassembled by removing the floor plate. The floor plate slides off by inserting a small screwdriver between the body of the magazine and the front of the magazine body, pulling the screwdriver away from the body will then allow the follower and spring to drop out of the body. The magazine is usually only disassembled to replace the spring or to thoroughly clean the magazine. As currently manufactured, the high power comes with a magazine safety. This means that when the magazine is withdrawn, the gun will not fire. The FN company put this in the gun so that if the shooter touched the trigger while inserting a magazine the gun would not fire if there was still a round in the chamber. Many civilian owners remove this safety, it is done for two reasons. First of all, many owners want to gun to be in fireable condition without the magazine so a fresh magazine can be inserted during combat. The other reason is that the magazine safety prevents the empty magazine dropping freely out of the magazine well. The German military during WW2, told the FN company to leave the magazine safety out, they did this so the gun would always be in fireable condition. When FN took back the factory at the end of WW2, they continued making guns without the magazine safety for a while. These guns have an "a" in the serial number prefix. The high power is easily field stripped, it can be done in the dark. 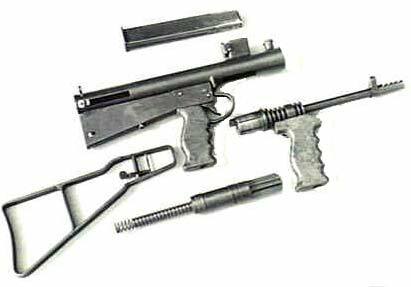 When disassembled, it should consist of the following pieces: the frame, the slide, the barrel, the magazine, the slide locking lever, the main spring and the main spring guide. seven pieces including the magazine.